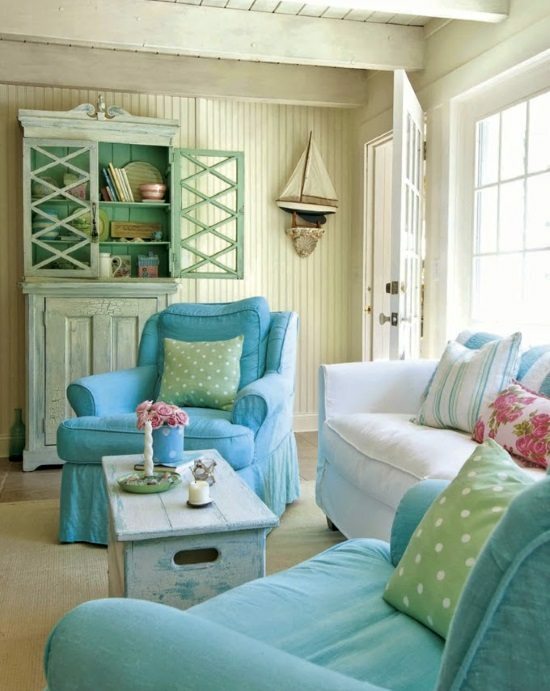 Designer Tracey Rapisardi creates happy interiors in pastel colors that give you a summer feeling year round! 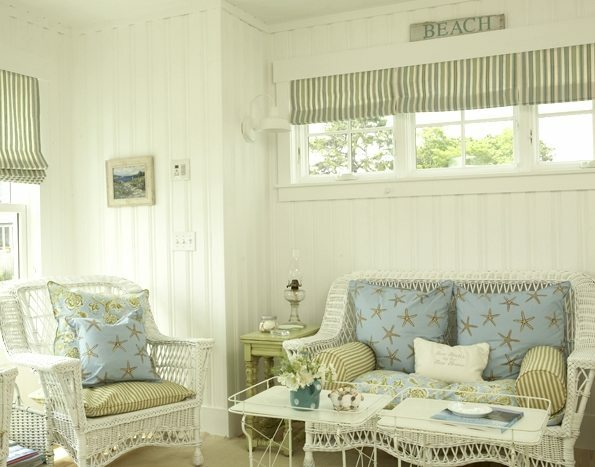 This Maine beach cottage was Coastal Living’s Idea House in 2008. The cottage is situated in Pine Point Beach in Scarborough. 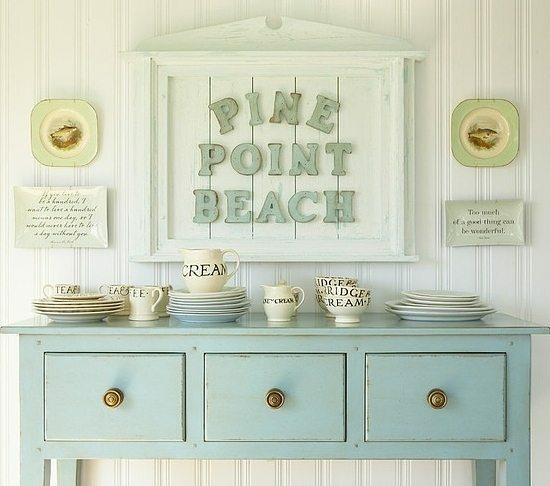 Rooms are filled with rustic charm and custom details, from beach signs, to painted furniture, to custom coat racks. Did you notice that the French style wire basket chandelier is filled with beach treasures? I love that idea. And how about adding stripes to a tabletop. So beachy. 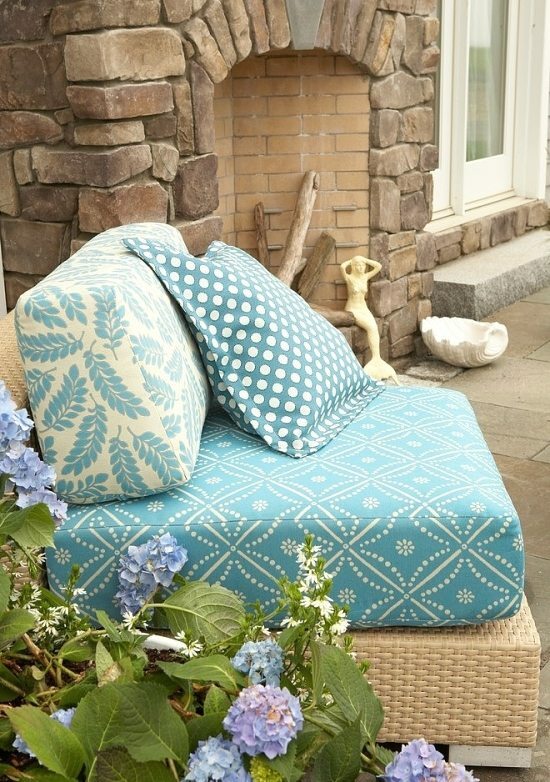 Other cool beach cottage ideas I loved are the custom made whale coat rack, and the upholstered sofa chairs in Cove Hollow Ocean Fabric from Robert Allen. 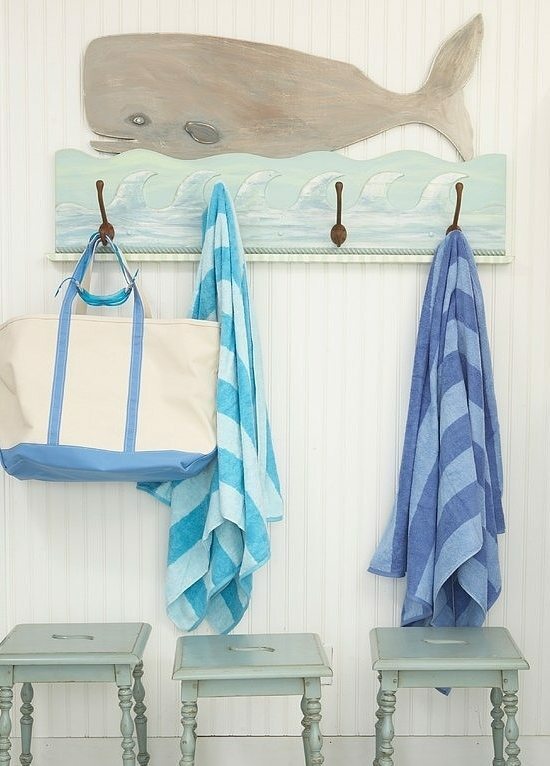 To get the scoop on decor and paint used in this Maine beach cottage, head over to Coastal Living’s Source Page! All pictures are via Tracey Rapisardy Designs. Tracey Rapisardi grew up in the North East and relocated from Portland, Maine, to Sarasota, Florida, in 2013. 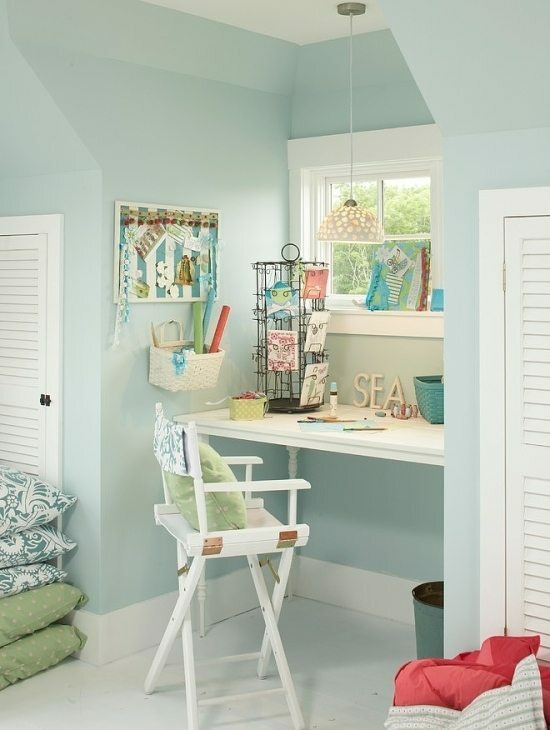 This is a peek into her former cottage in Scarborough, featured in Cottages and Bungalows Mag. Love your posts.. you definitely find the most extraordinary creative items .. but I am so puzzled as to where to buy them.. for example the whale, with waves hooks.. ? I would love to purchase it.. can you help?